We have reported last year that every e-commerce businesses need to display their business name and registration number on their website, starting from 1 July 2013 (enforced by Malaysia Consumer Protection Regulations 2012). Did you know that you need to do so too on your Facebook Page? 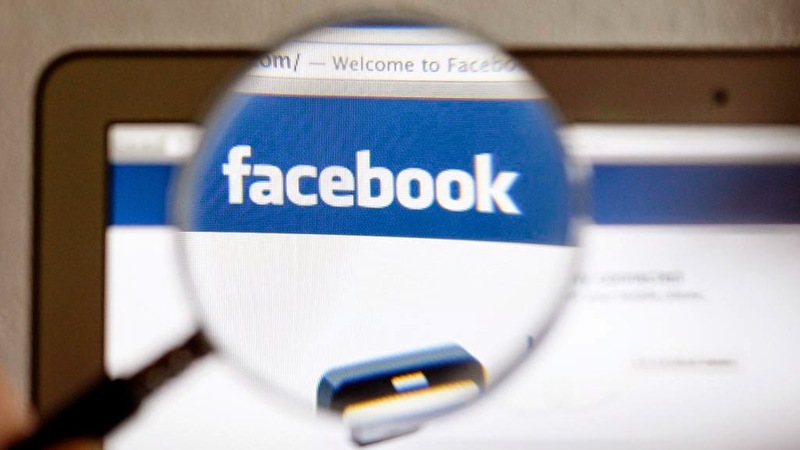 Yes, some online merchants have alerted us on this matter recently, that Suruhanjaya Syarikat Malaysia (SSM, or Companies Commission of Malaysia), has started to crack down on some online merchants on Facebook. It also seems that fashion merchants are the firsts on their screening radar now. 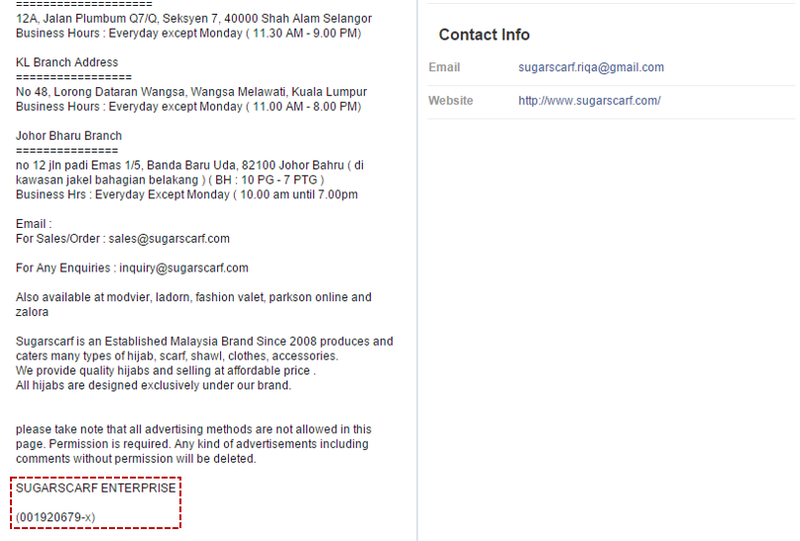 See below the letter of notice, which an online merchant has shared with us. It is stated in the letter of notice that the merchant has defaulted Companies Act 1965 by failing to display company name and / or company registration number, on its Facebook page. and if default is made in complying with this subsection the company shall be guilty of an offence against this Act. 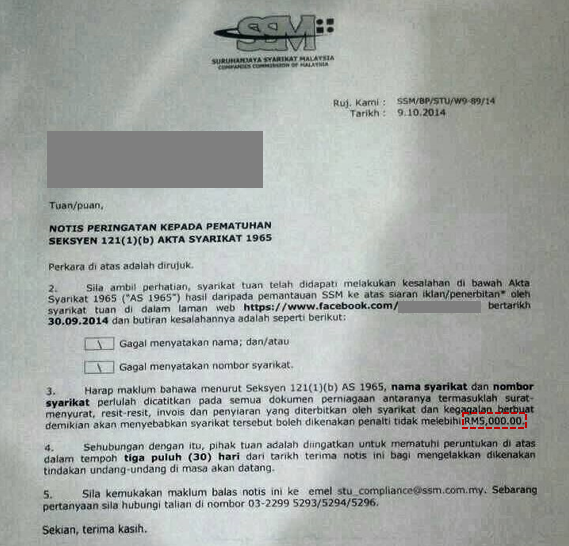 Failure of complying the above will result into penalty of not more than RM5,000, which the defaulter has to take action within 30 days from the letter of notice. 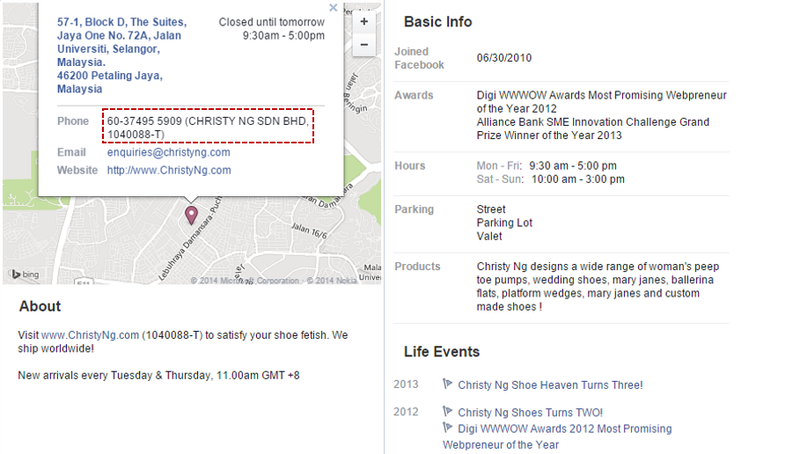 Do you need to display company info on Facebook ad creative? When we first saw the letter, we are a little confused (just like the merchant) as this is originated from SSM's observation on the merchant's advertisement / publications on Facebook. The question is, do we need to display company details on the ad creative? Besides that, the only thing we can relate from Section 121(1)(b) above are publications and penyiaran (broadcasting), so this letter is quite vague on what action(s) need to be done. We ended up making a call to SSM to clarify this matter, and the feedback from SSM officer is to display your company name and registration number on your Facebook Page, for example in the "about" section. Still not clear? 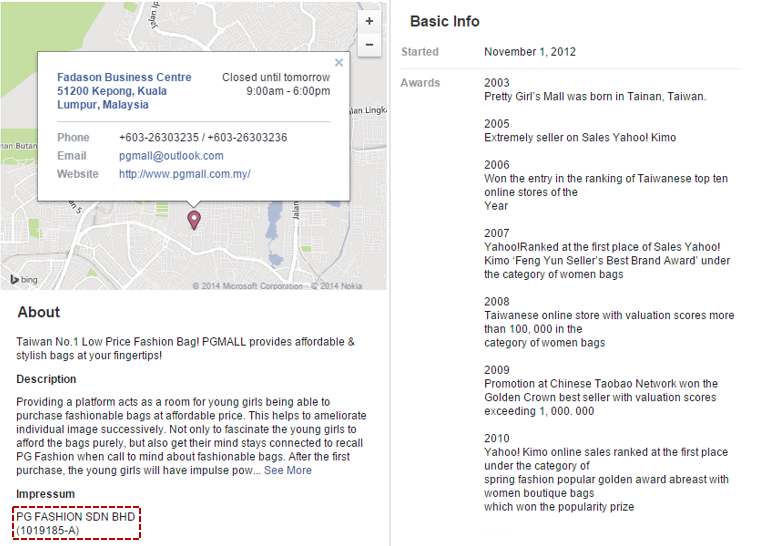 You can refer to some of the live examples on selected fashion merchants (who have complied) below. So, if you are an online merchant (or basically running any kind of business) with a Facebook Page, do act now by displaying your business name and registration number, before SSM comes knocking at your door!